First of all you know, The SSC Examinations have been held from 1st February this year. Finally The potential date for publication of the exam results has been fixed on May 5, 2019. So You can submit the results of the ssc test through apps or online. As a result In these two types of methods, we will show you how to get results very easily. Not only students, students who do not submit and can get the SSC exam result from our website. We will show you how easily you can collect exam results through mobile apps and how to collect results by mobile apps with full Number. So Let’s start the collection of results. So, You can use your personal Mobile Phone to check the SSC Exam Result 2019 by apps. Just Check your interner Account Balance First. If you have sufficient Balance in your Mobile Account, then go to a internet browser or open your play store and search there as ‘Education Board Result apps’ . There you can see an apps like this image below. Installed the apps on your mobile phone and open the result apps. Then follow the steps below. Type your SSC roll number and registration number in next two boxes according to your admit card. Mobie Apps is the second modern system for cheking the ssc exam result 2019 for the student. 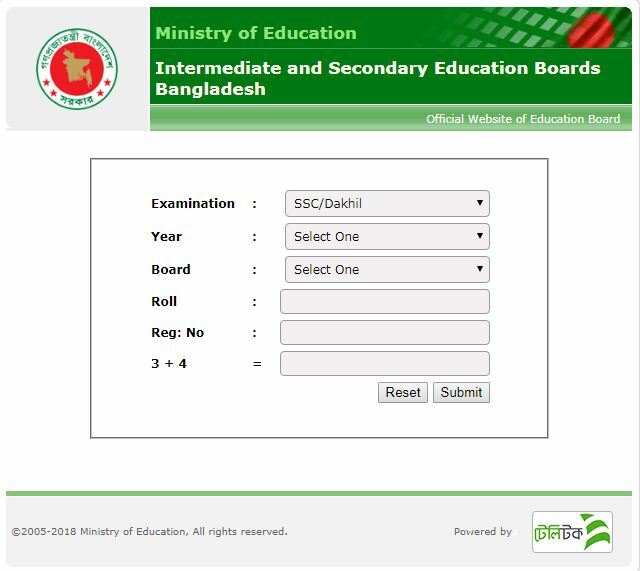 By the apps system one can get all other public exam results in Bangladesh. Guardian and students both can check SSC Result by mobile apps. Do you want to check your Result from your mobile? Please follow instruction below. Here you can get all the solution, and you will be able to get your result on your mobile app. First you must be know the published date of your ssc exam result 2019.